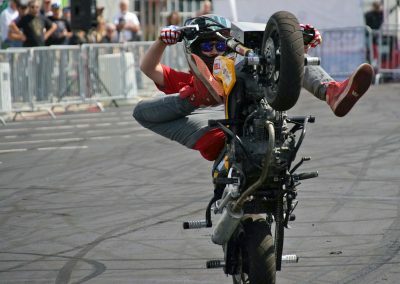 Of all the bike images that come to mind with the name of Harley-Davidson, a stunt bike is not usually one of them. 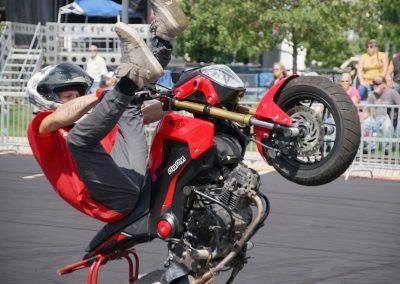 That stunt title fits better with the smaller Japanese sports bikes that can be stripped down easily, not the big touring cycles with their size and weight. 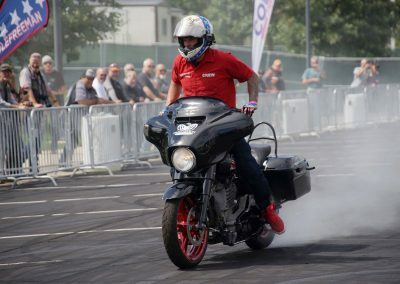 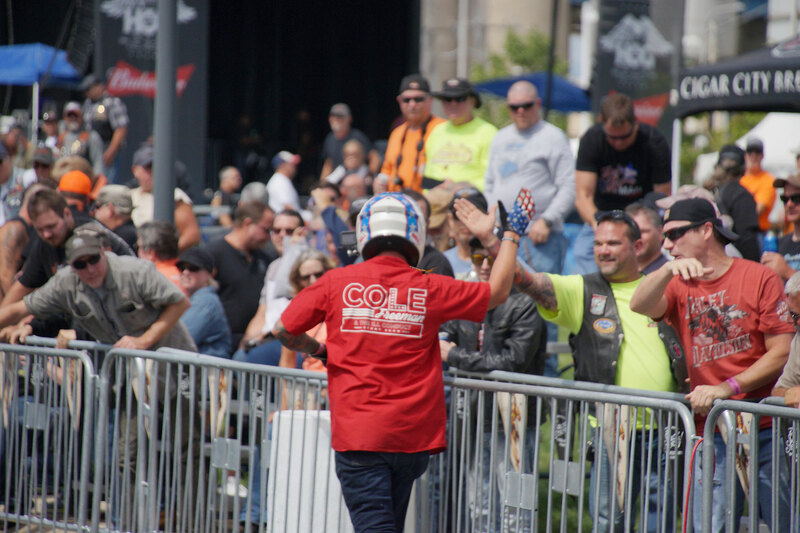 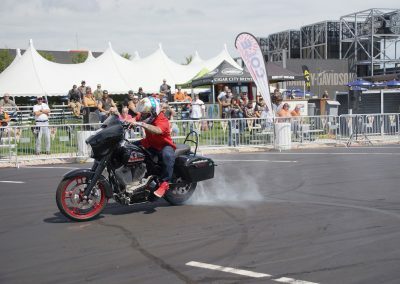 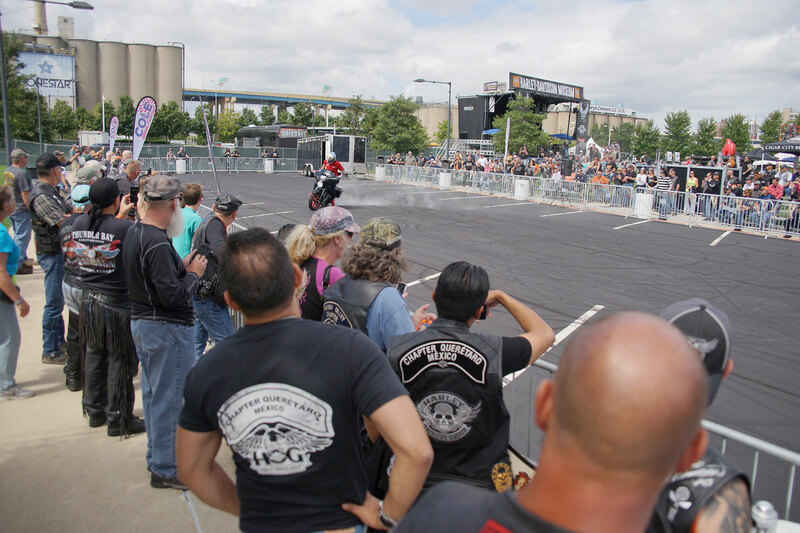 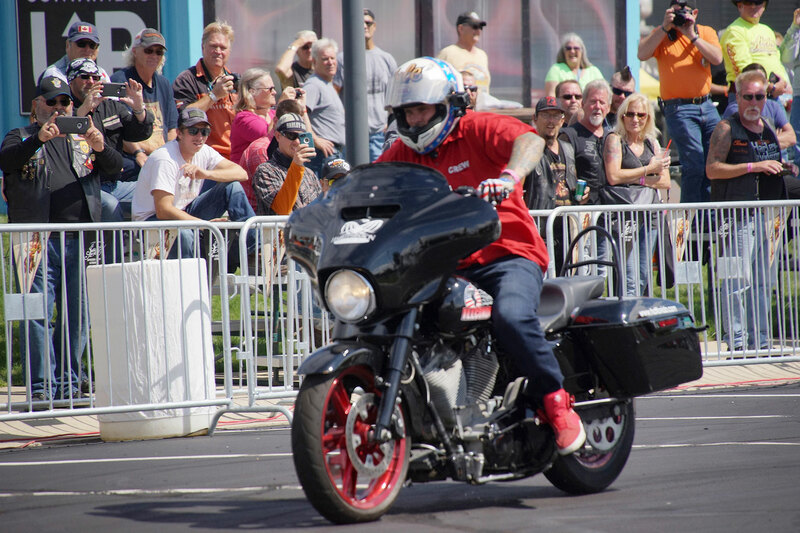 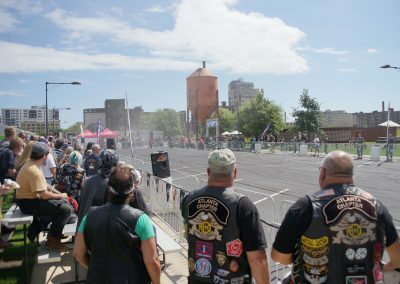 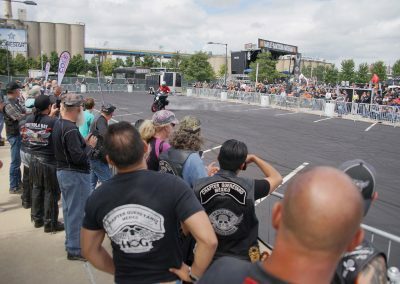 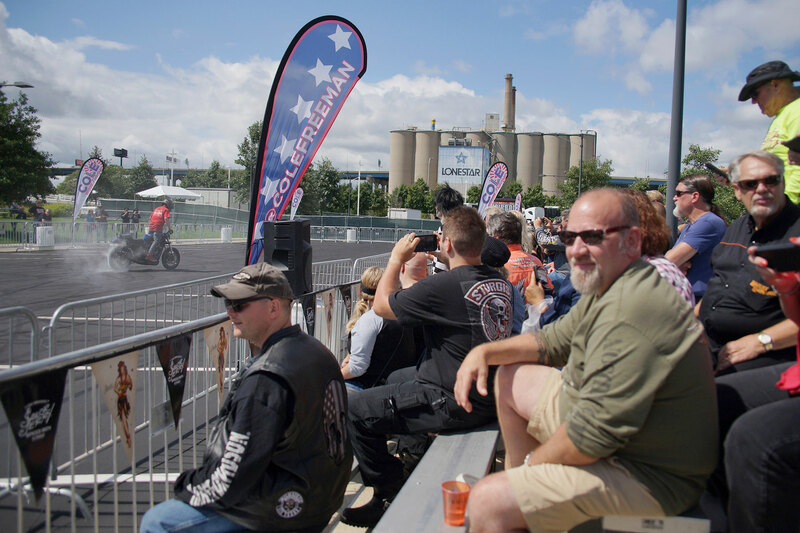 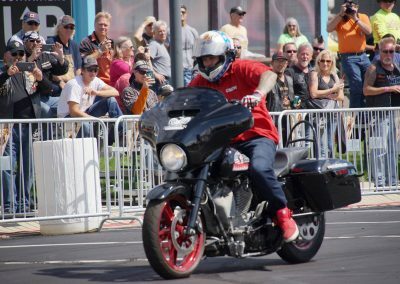 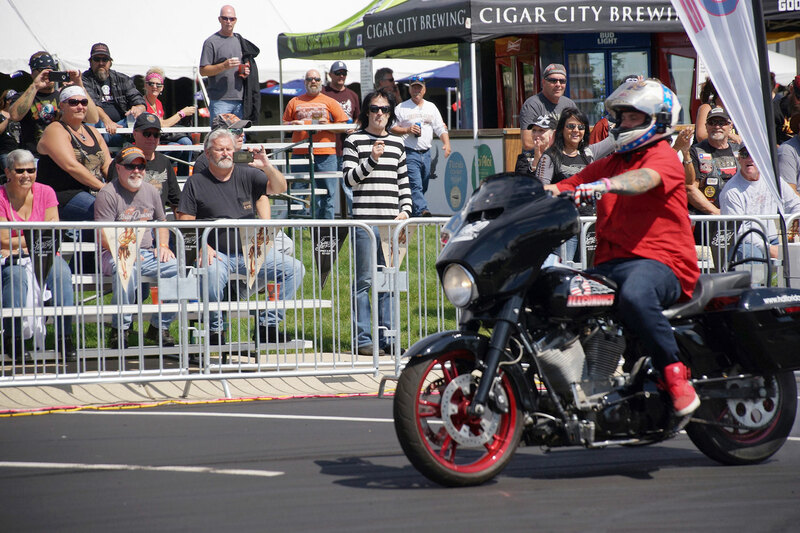 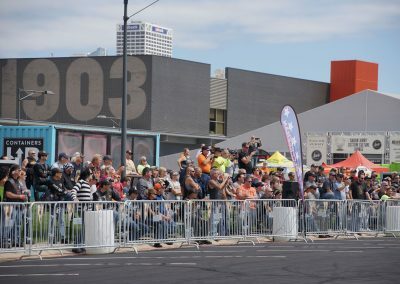 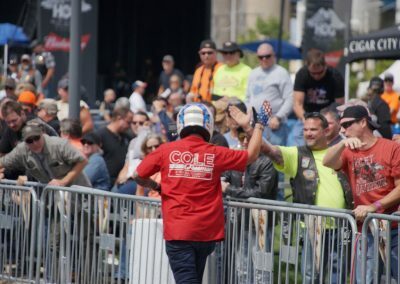 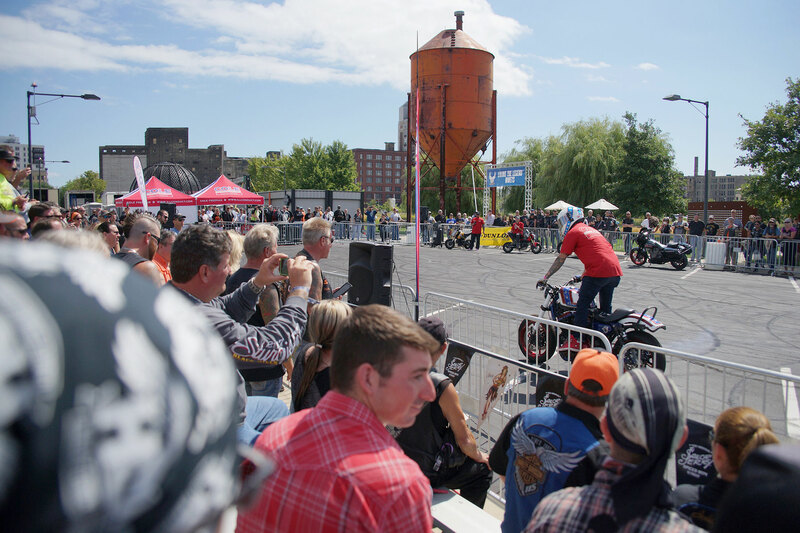 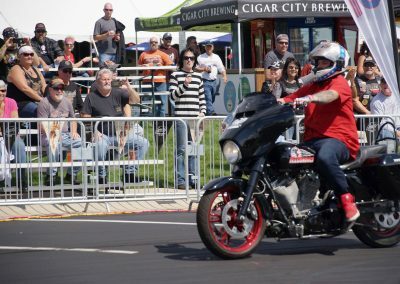 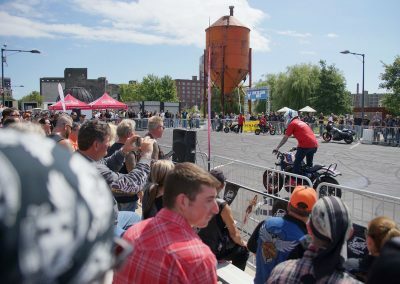 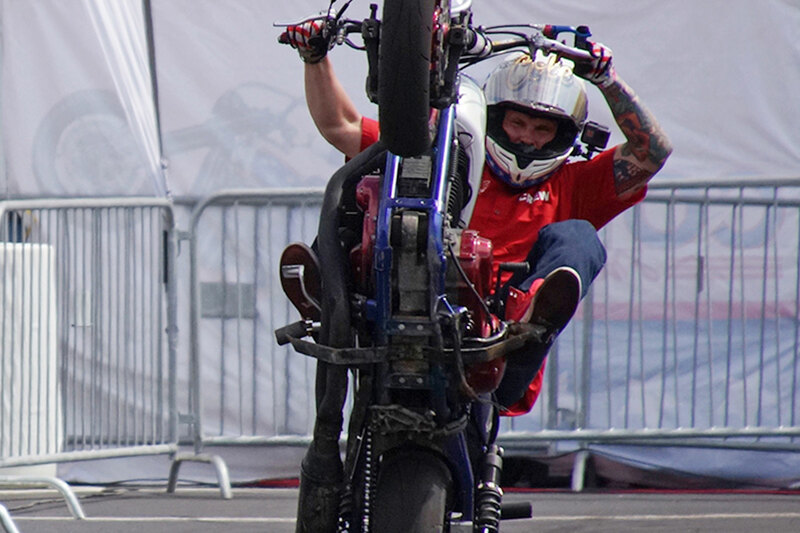 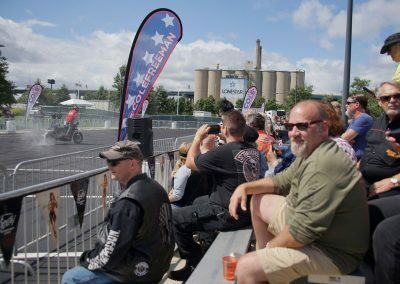 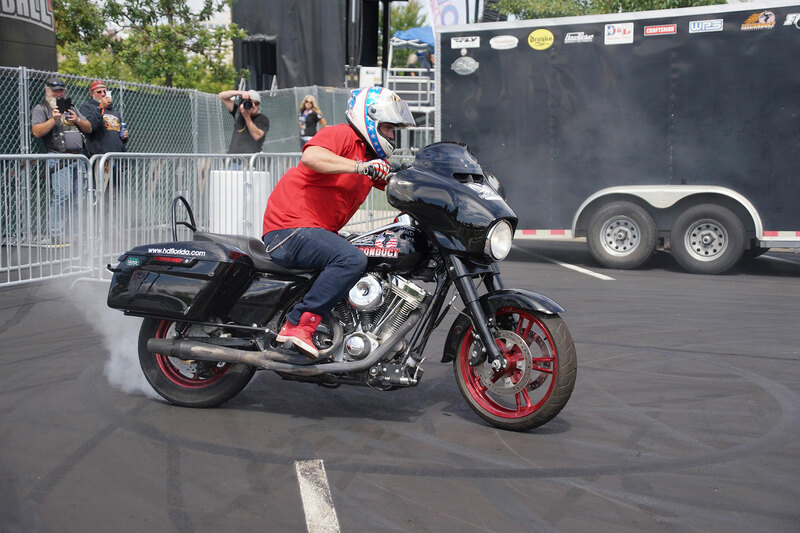 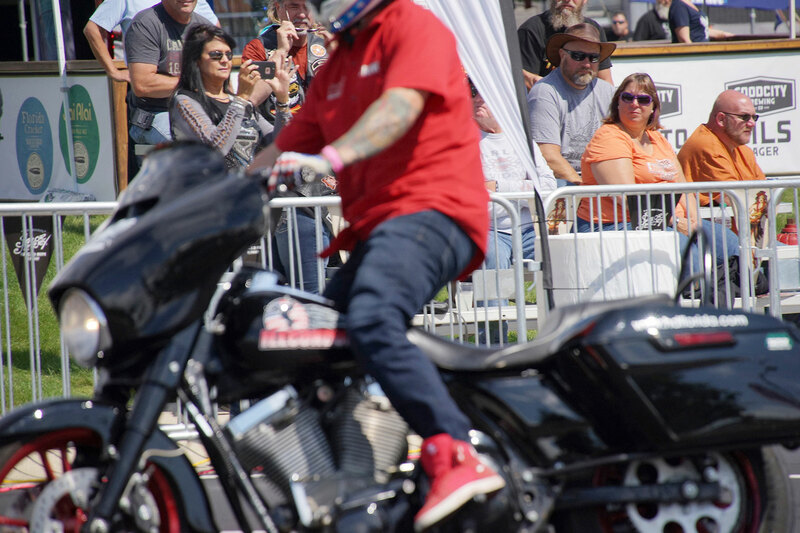 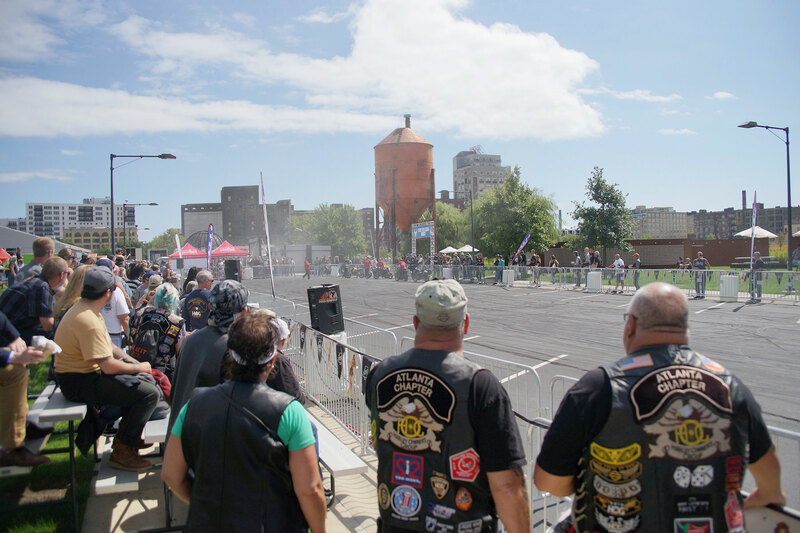 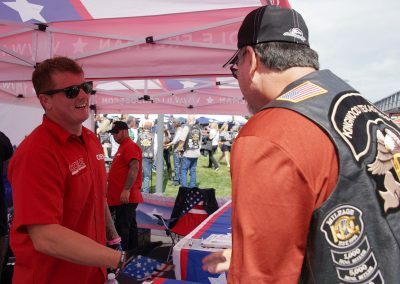 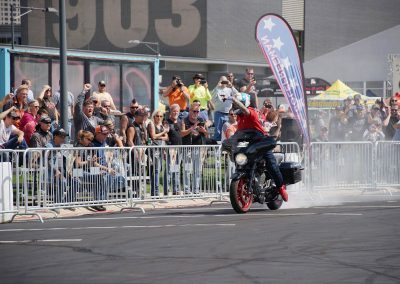 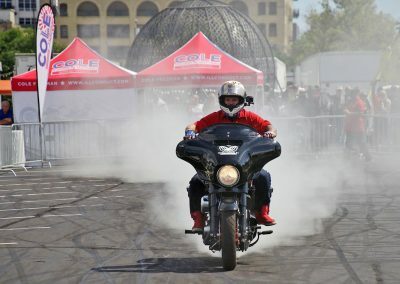 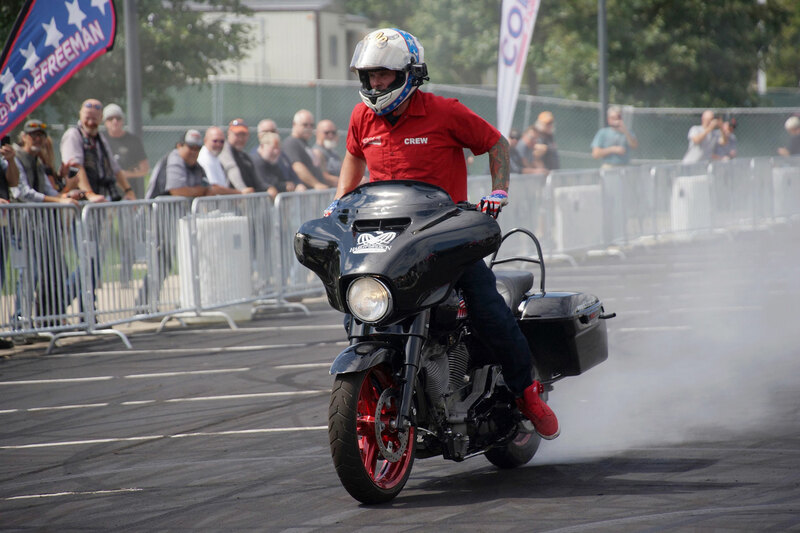 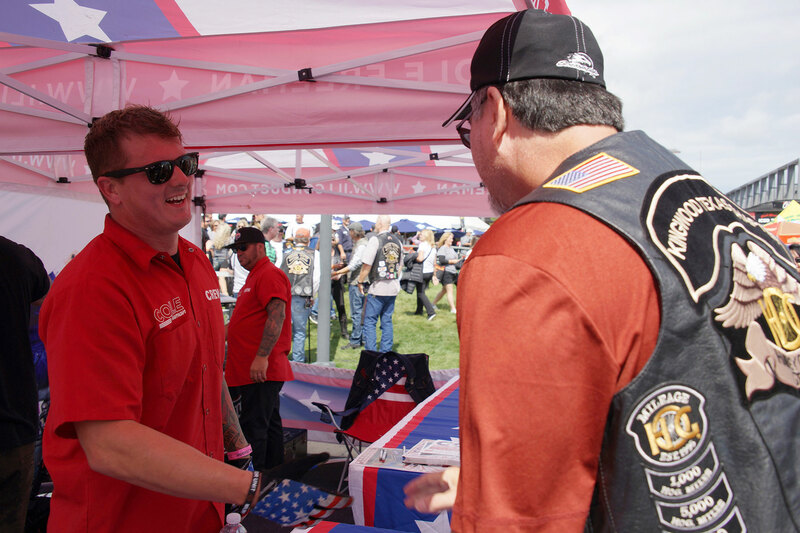 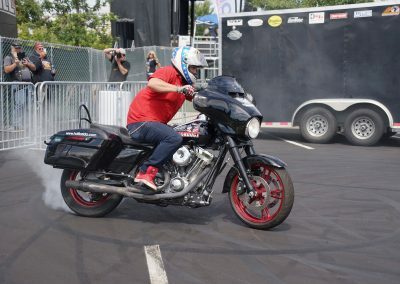 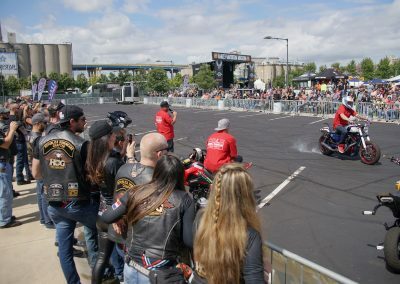 But for Cole Freeman of the Ill Conduct Stunt Team, his passion for Harley-Davidson has literally driven him to break records using the Milwaukee-built machines. 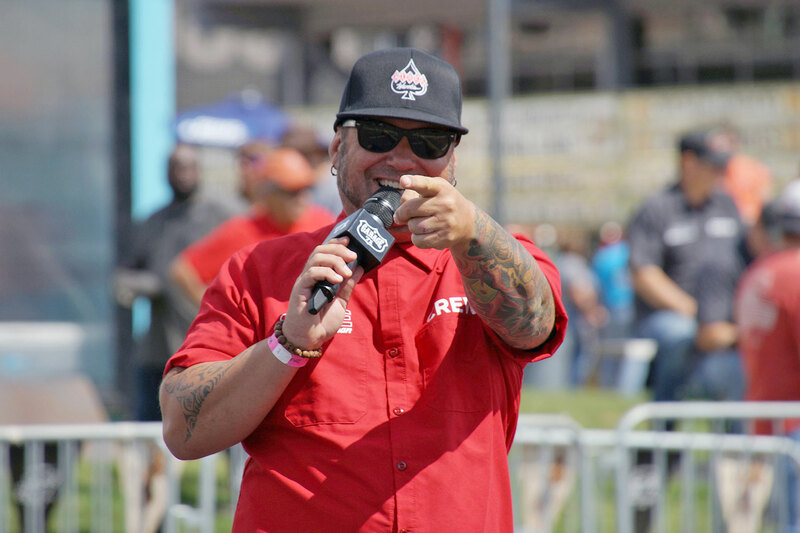 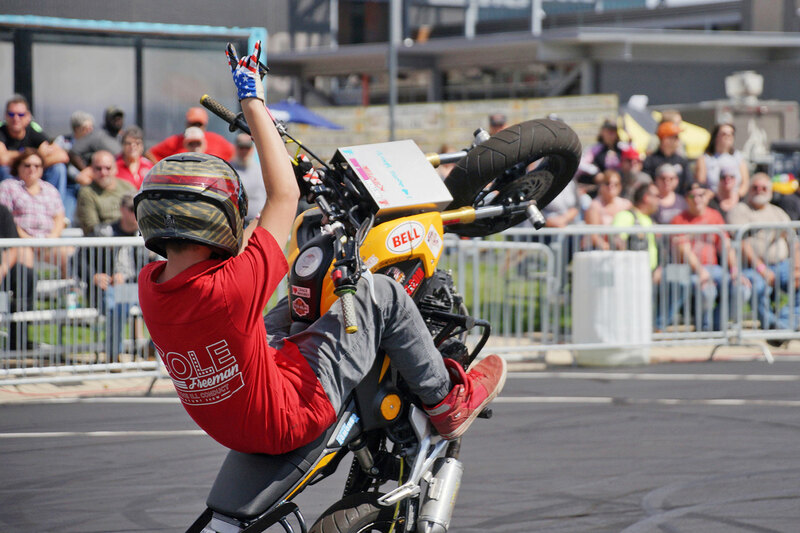 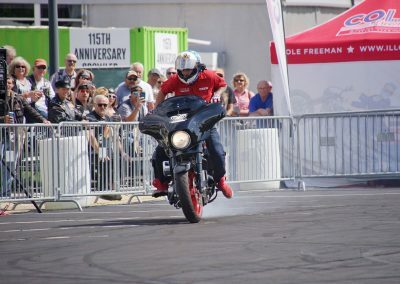 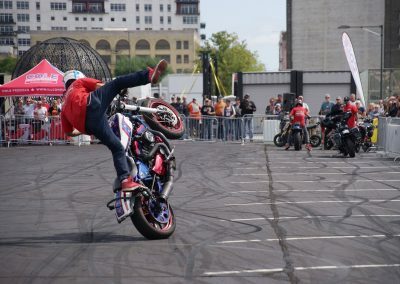 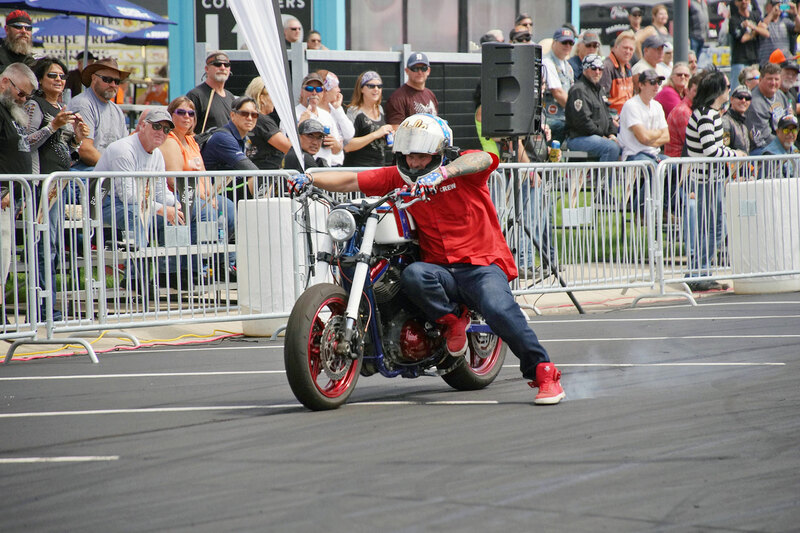 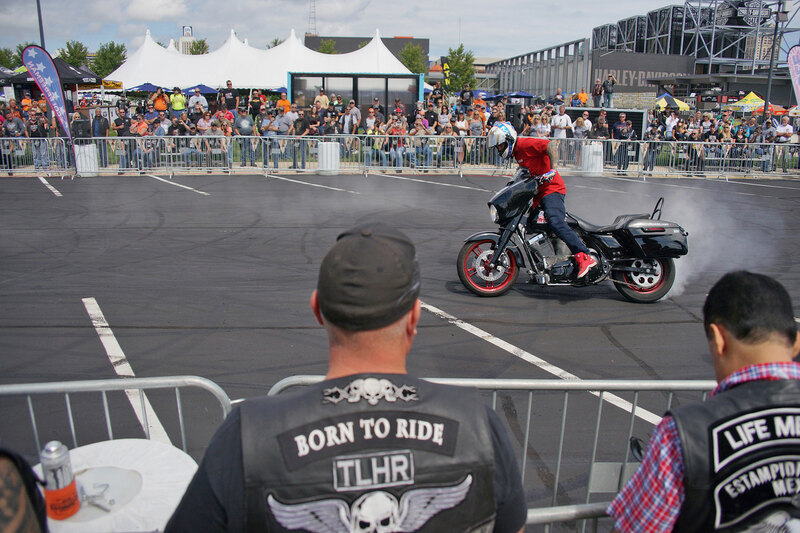 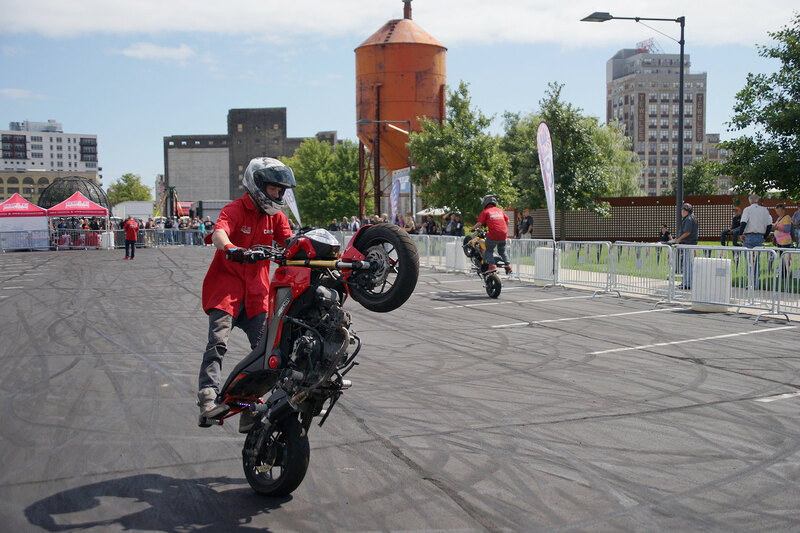 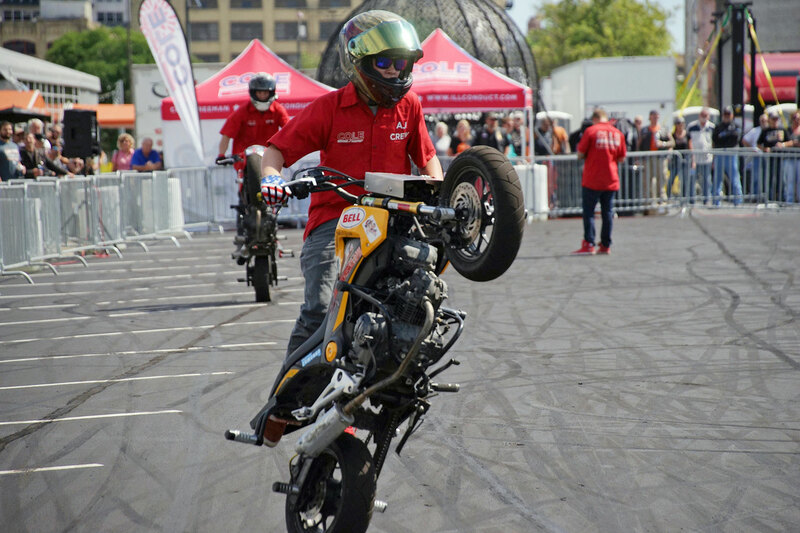 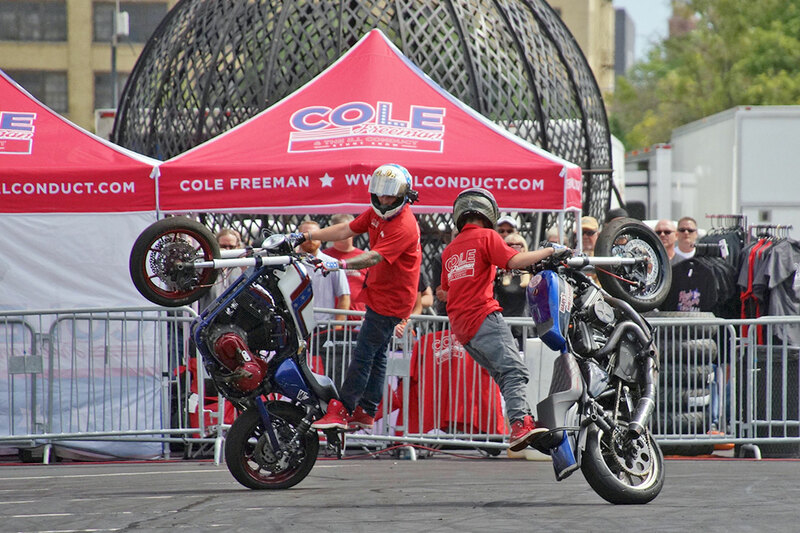 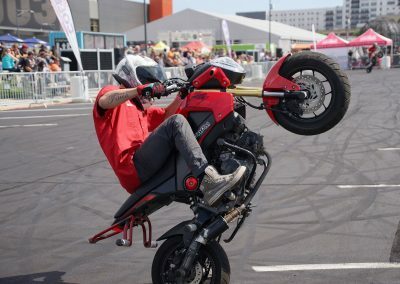 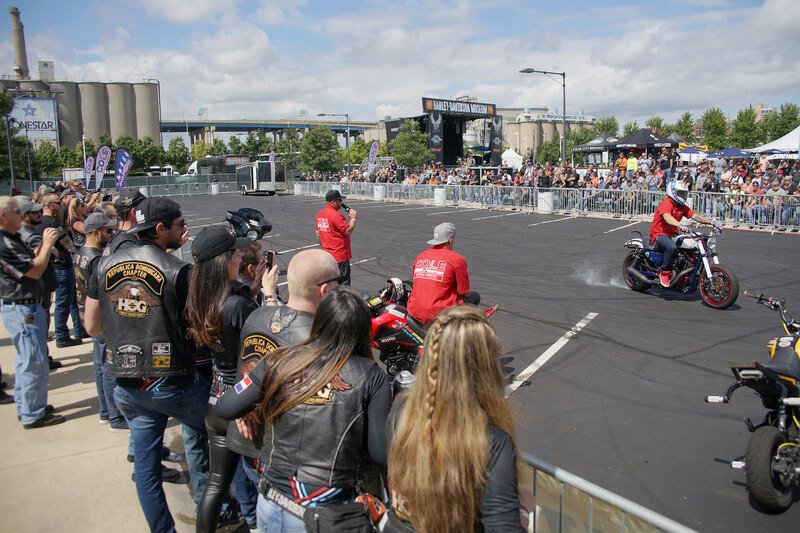 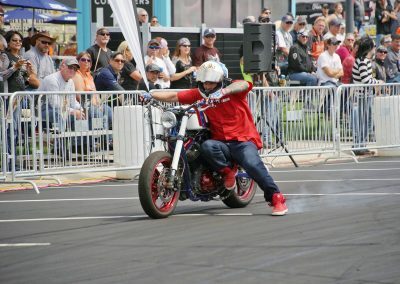 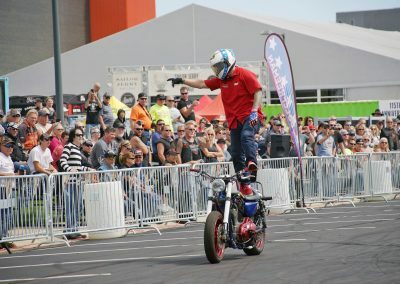 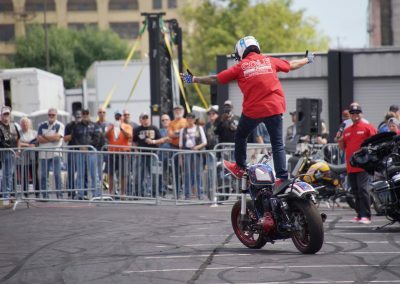 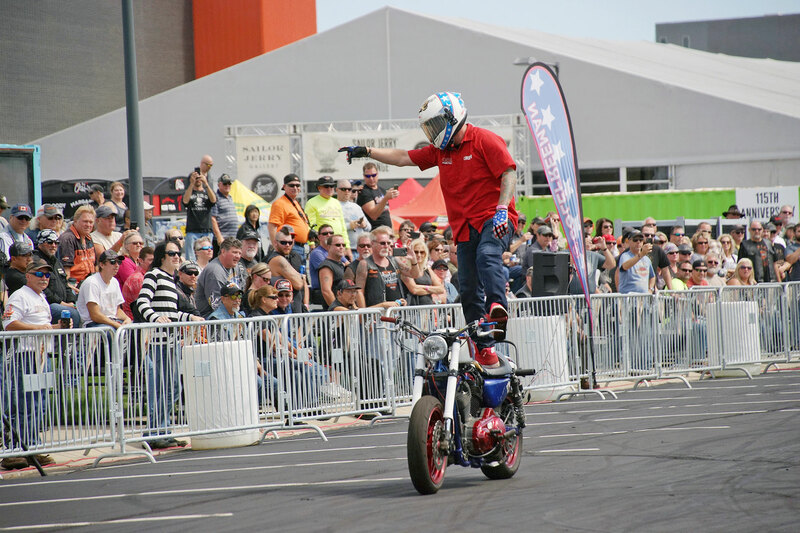 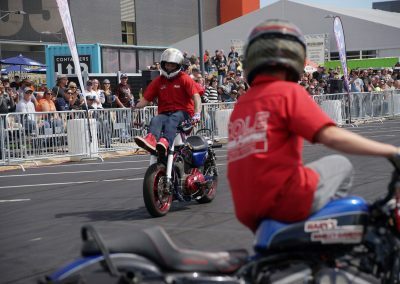 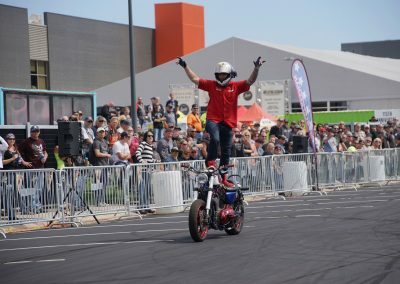 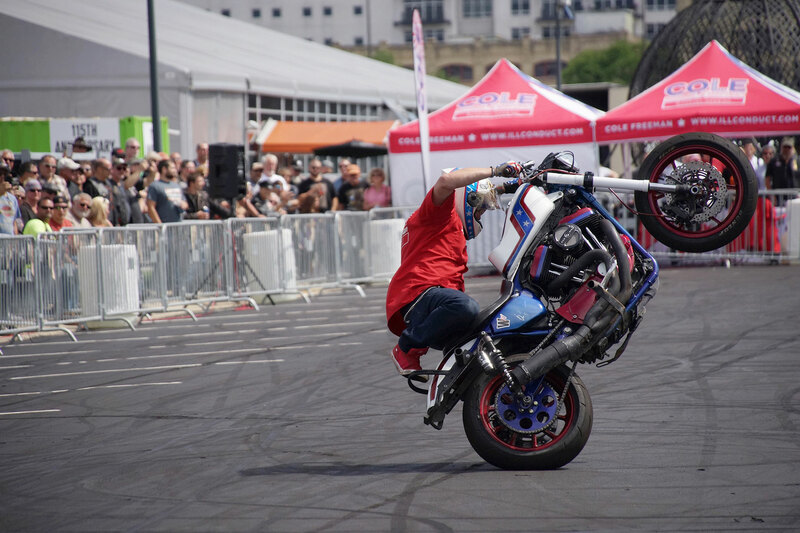 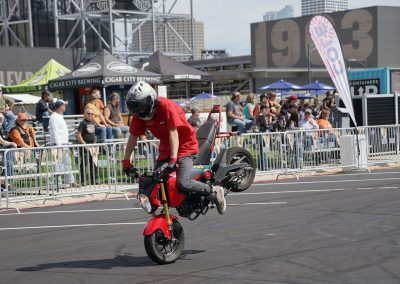 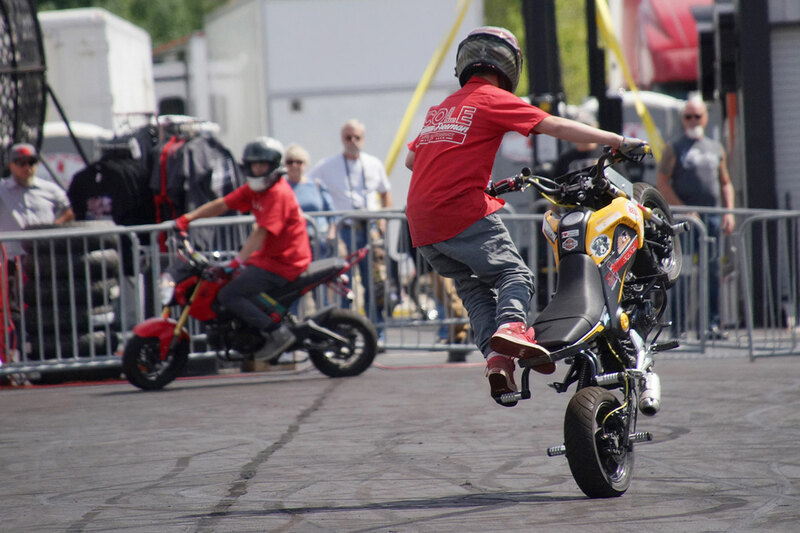 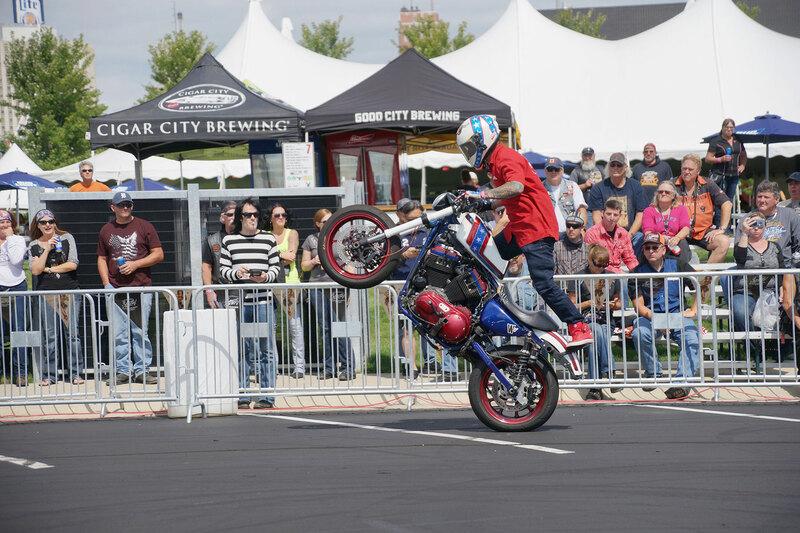 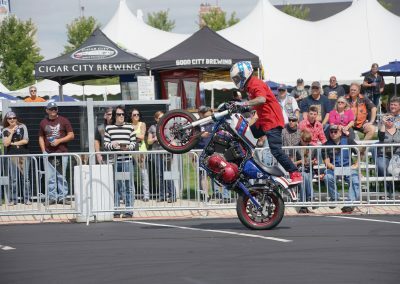 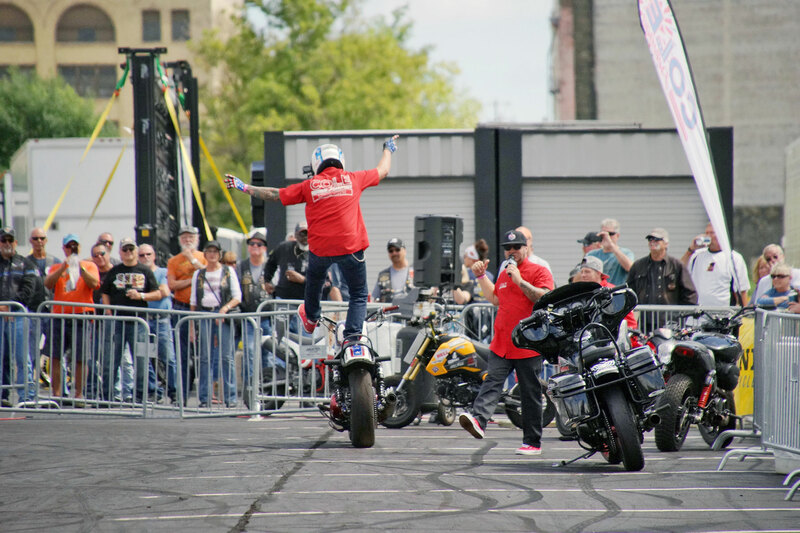 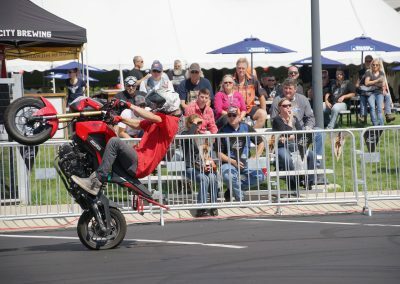 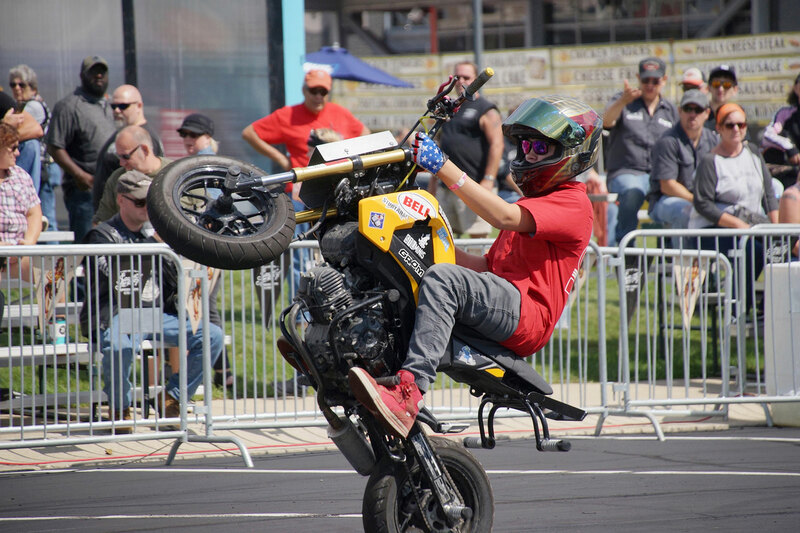 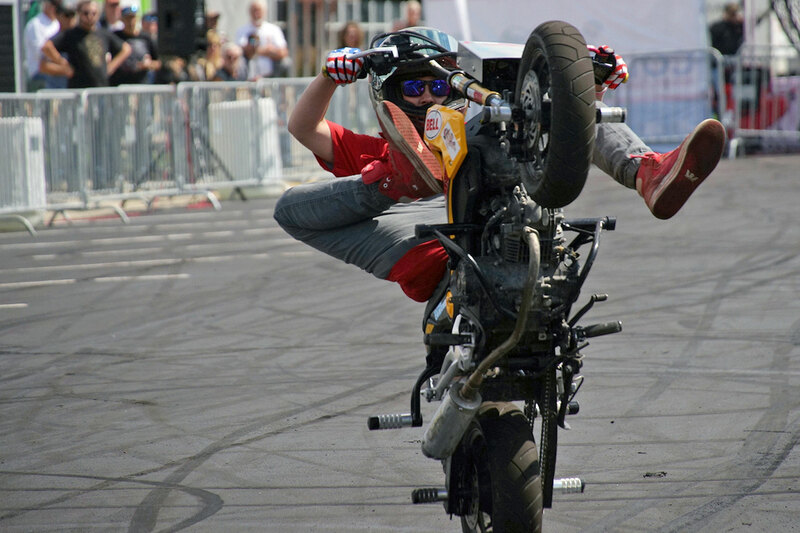 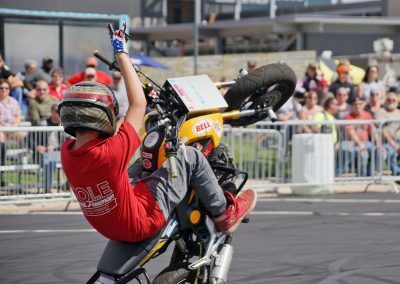 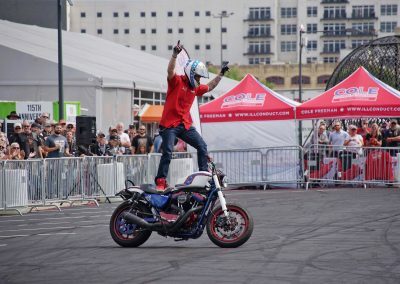 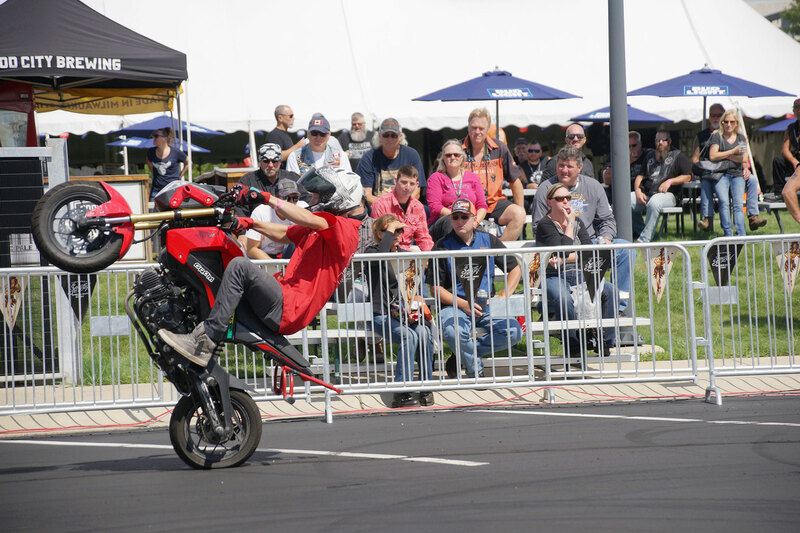 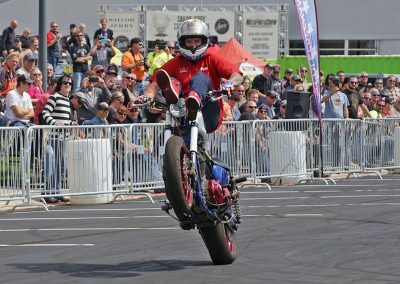 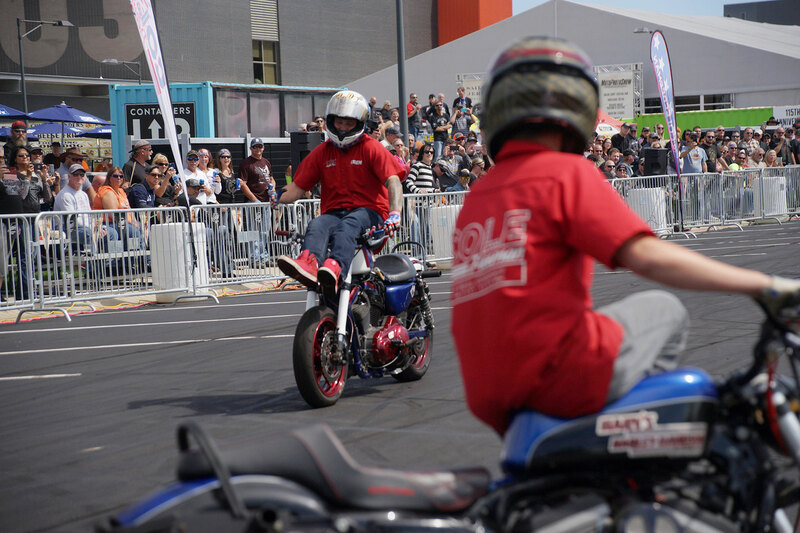 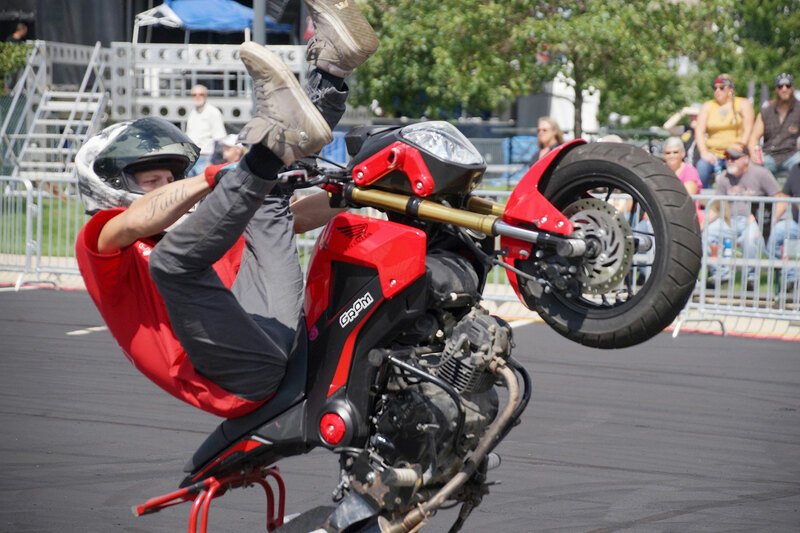 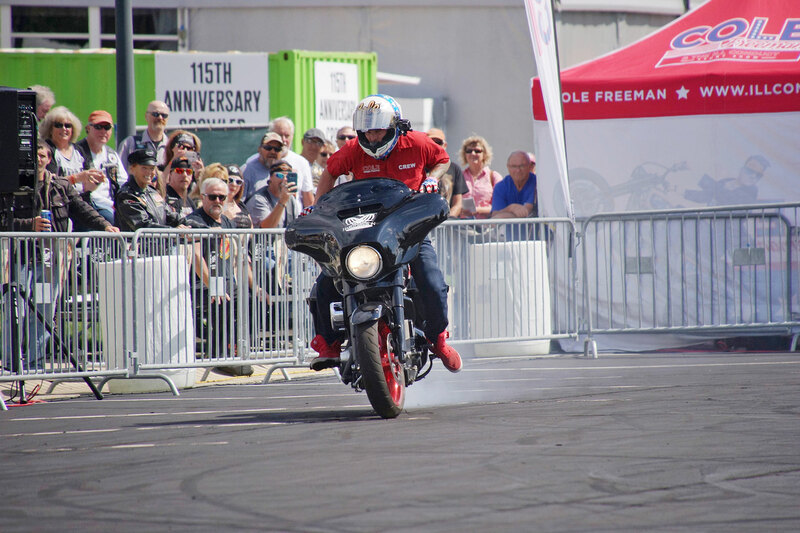 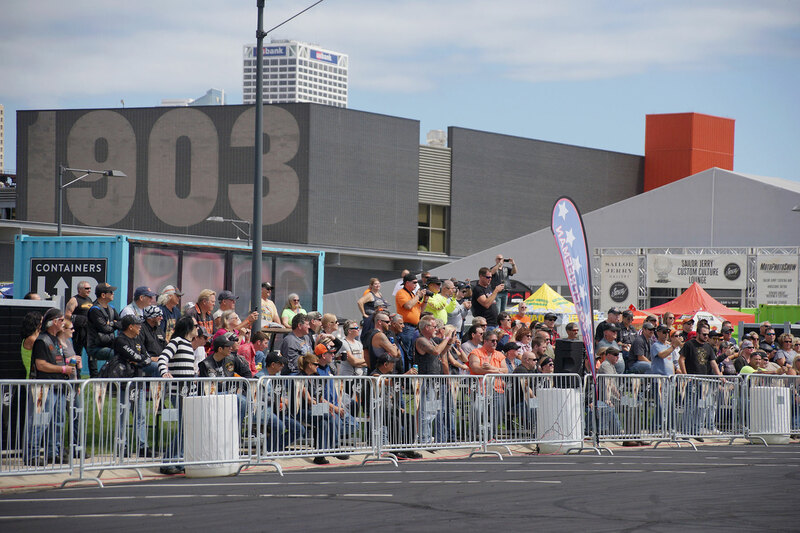 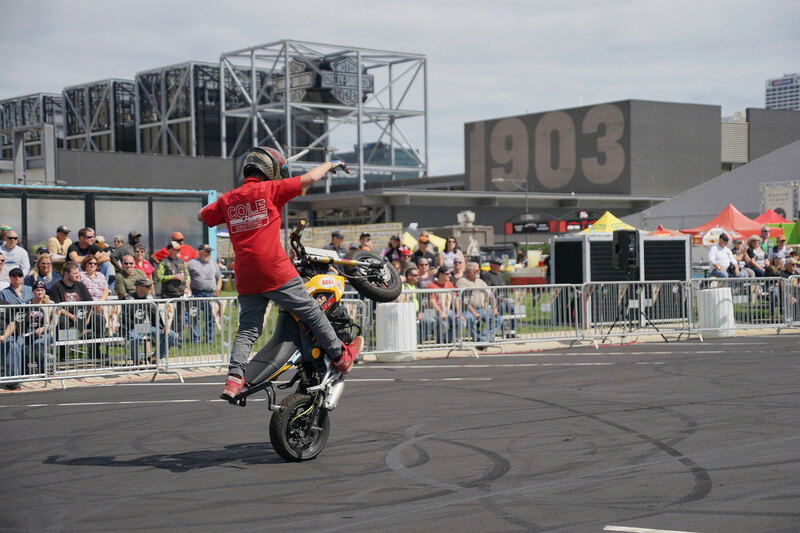 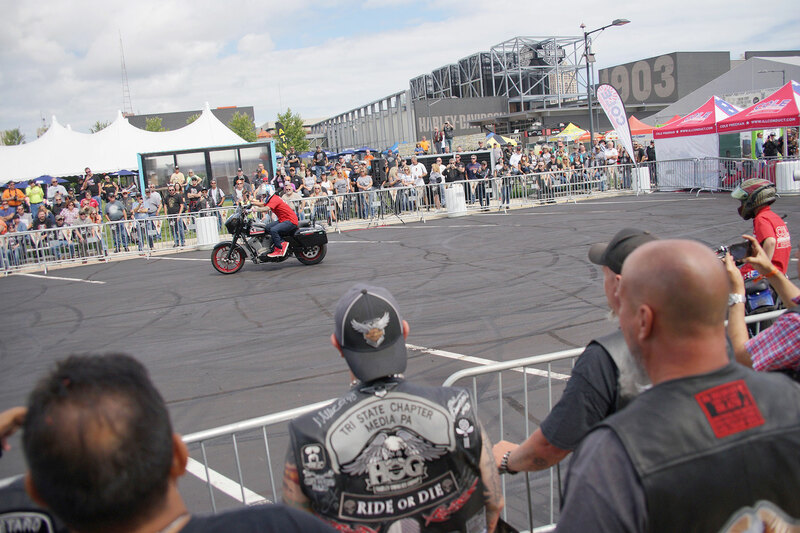 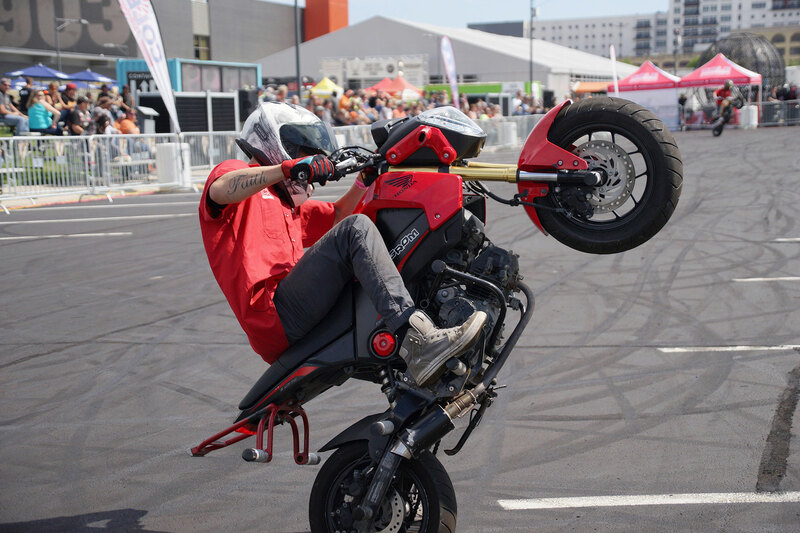 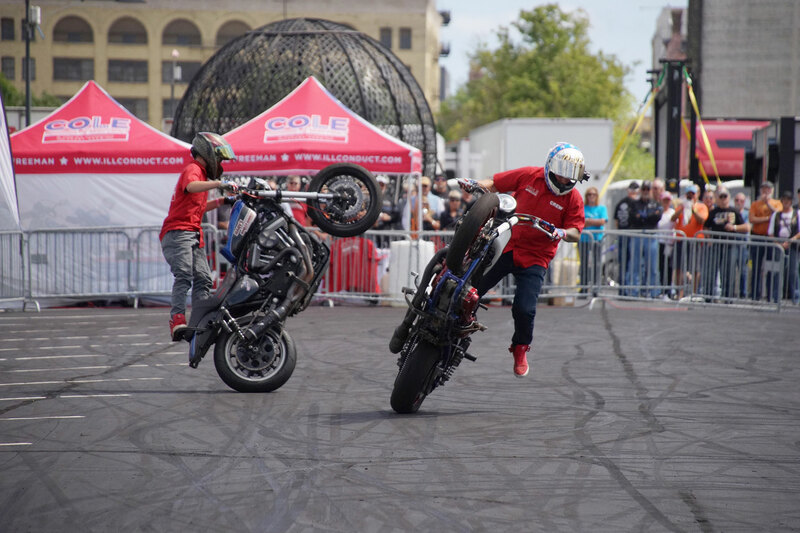 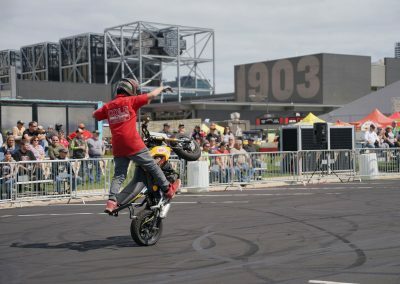 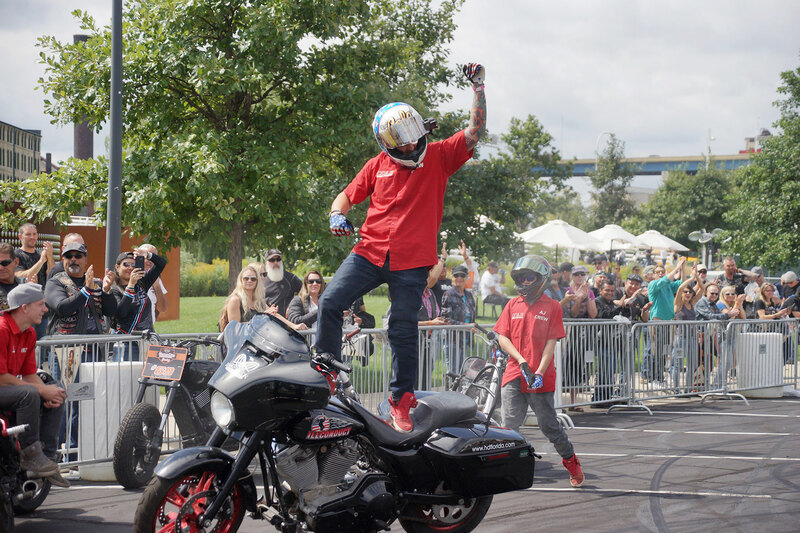 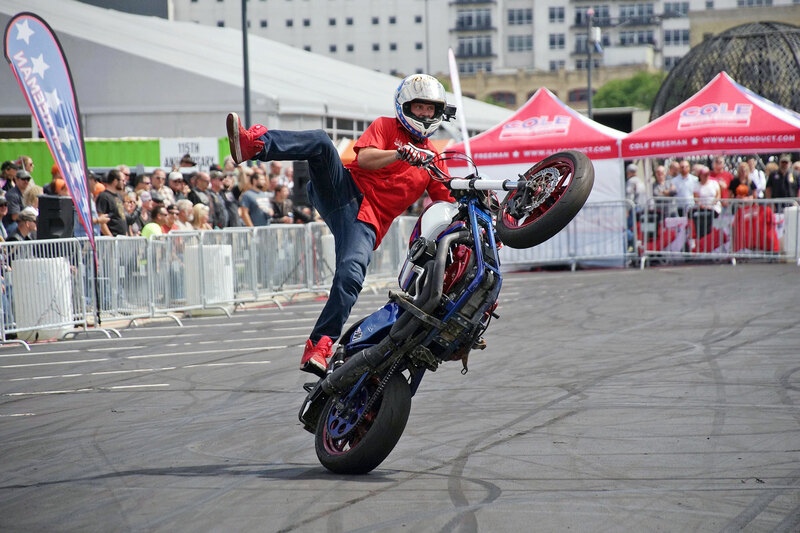 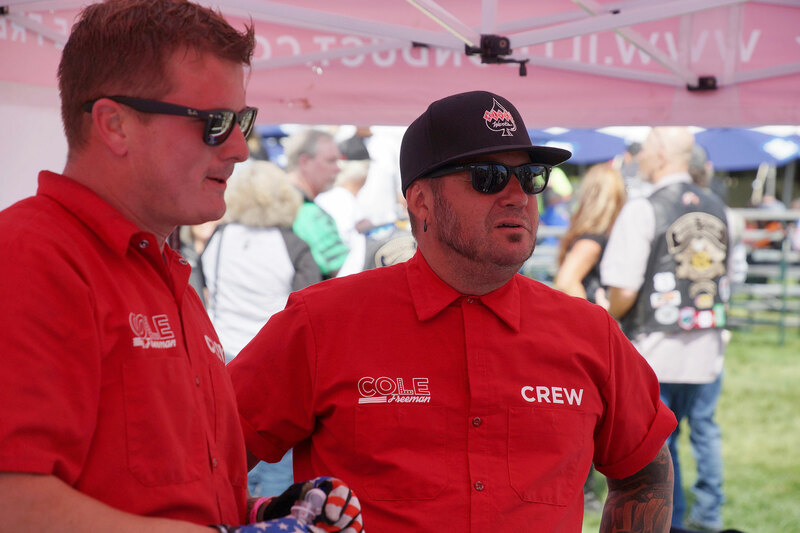 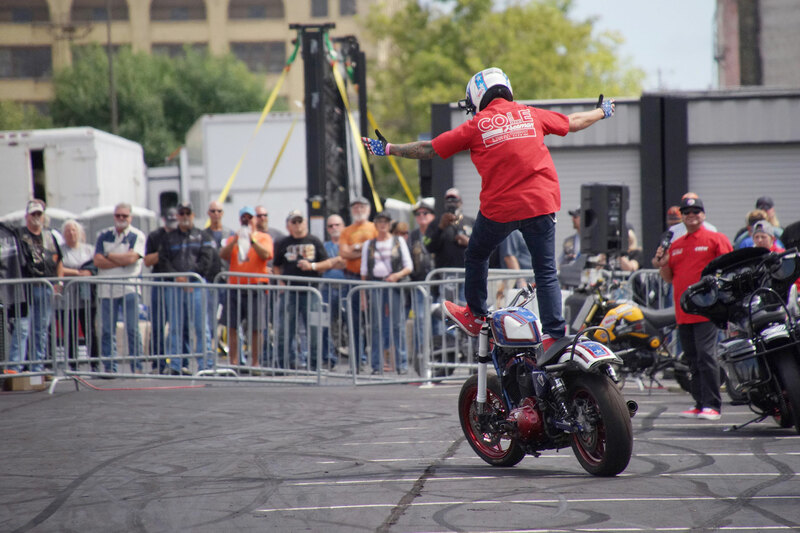 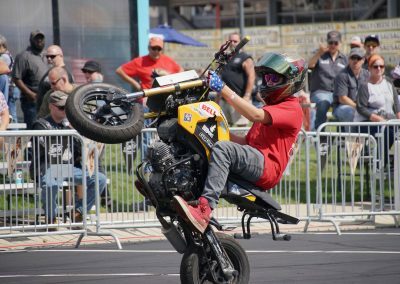 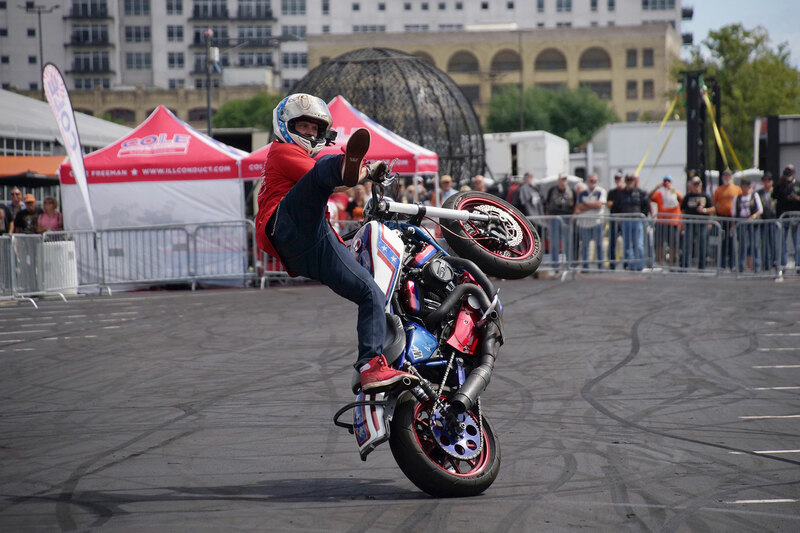 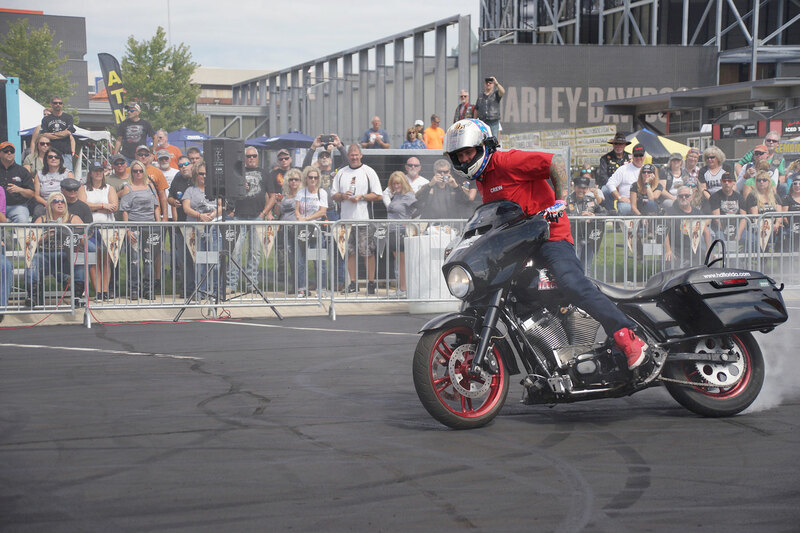 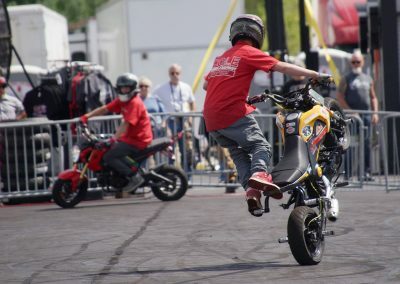 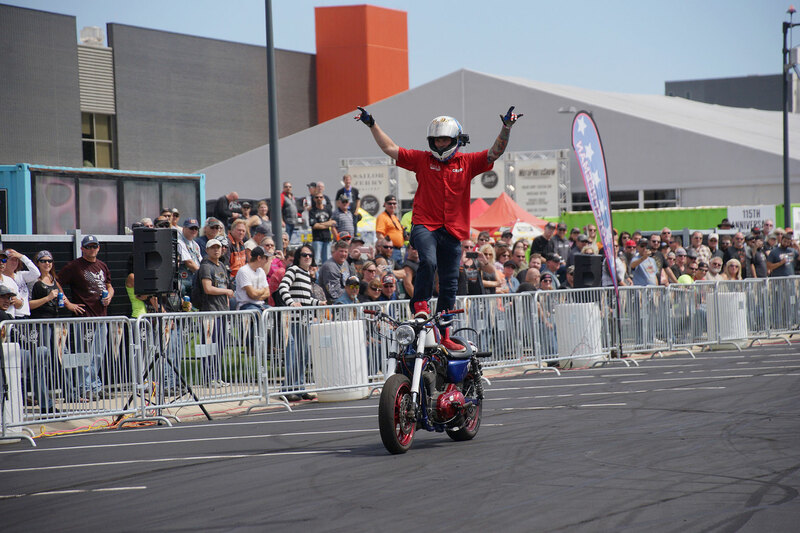 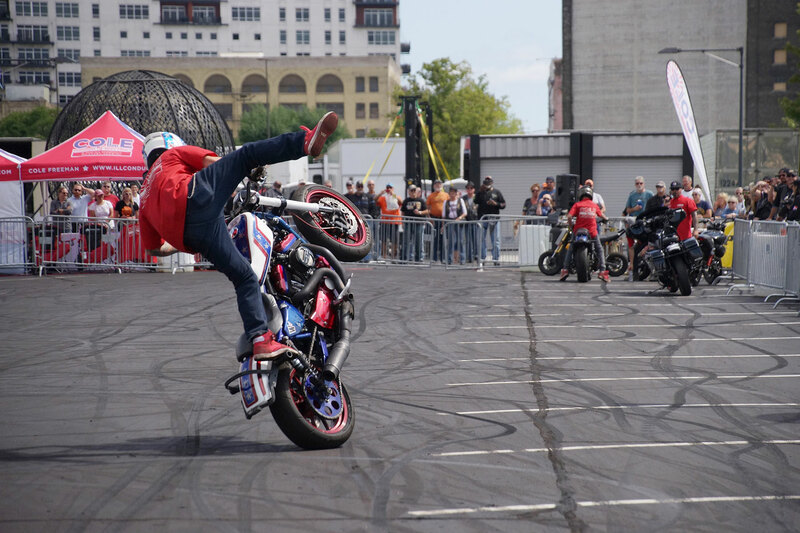 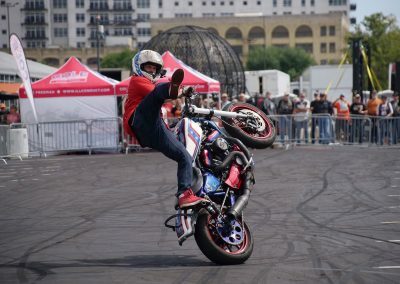 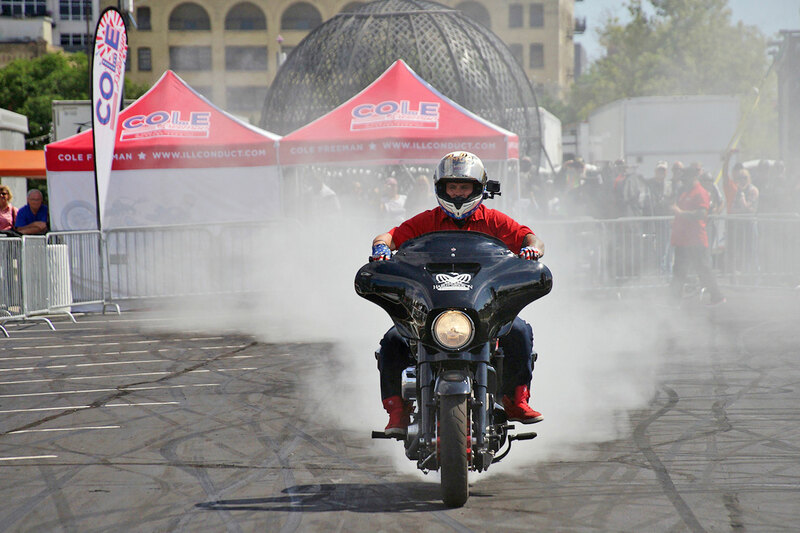 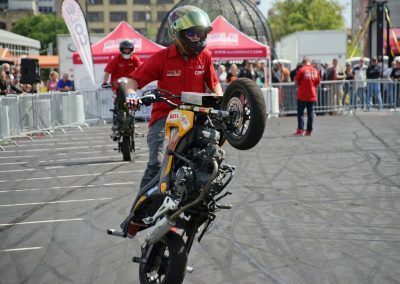 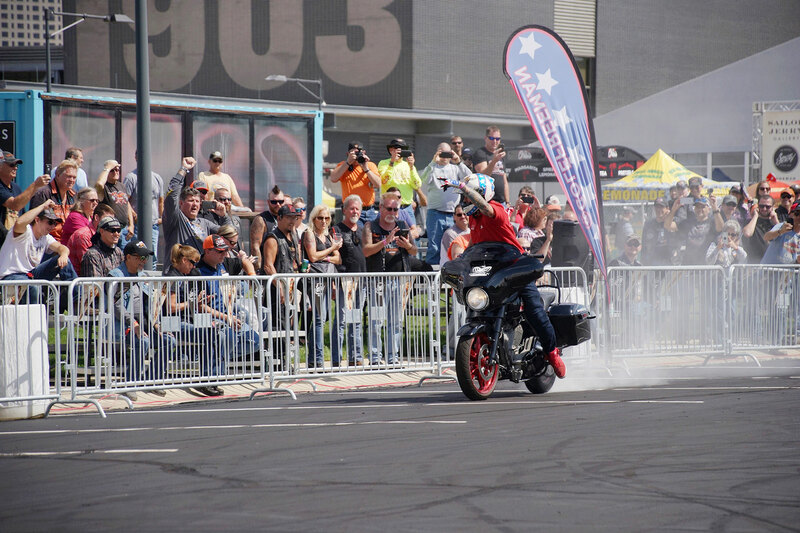 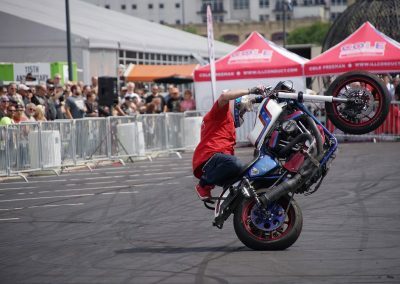 From wheelies, to stoppies, and all sorts of gravity-defying maneuvers, Cole and his team entertained international crowds at the Harley-Davidson Museum during its 115th Anniversary celebration, from August 31 to September 1. 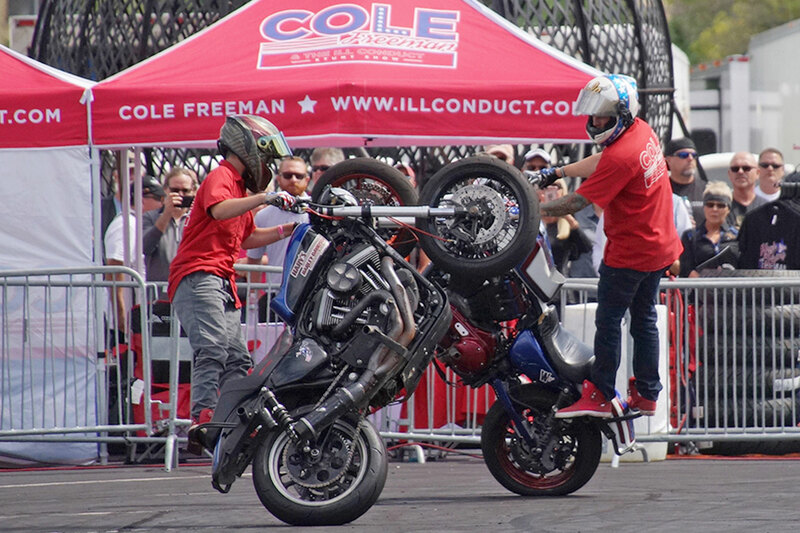 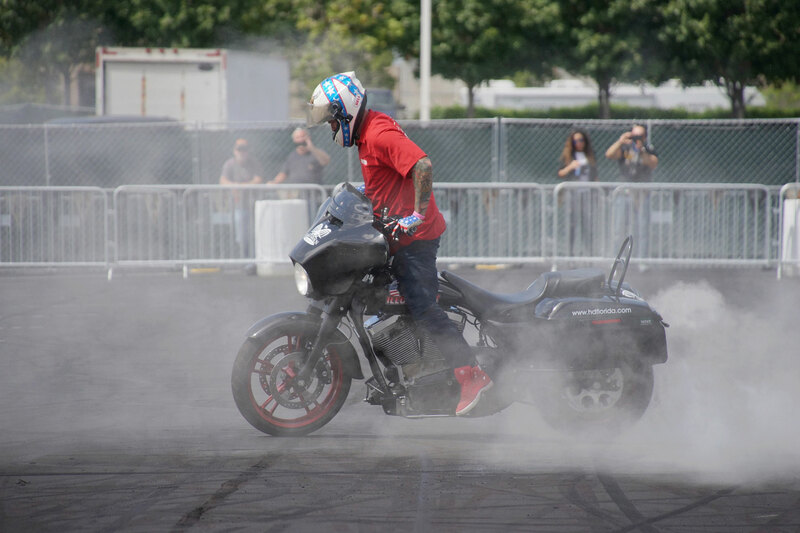 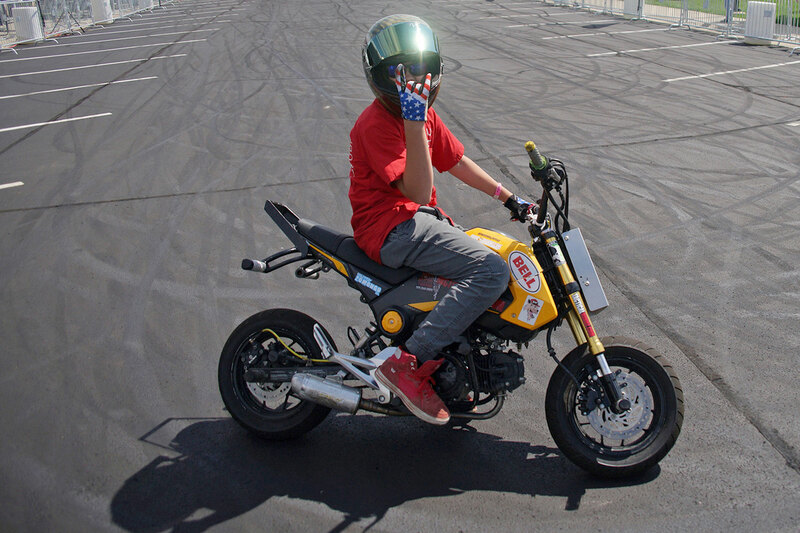 Cole has been riding for the past decade, and performing stunts for the last 7 years. 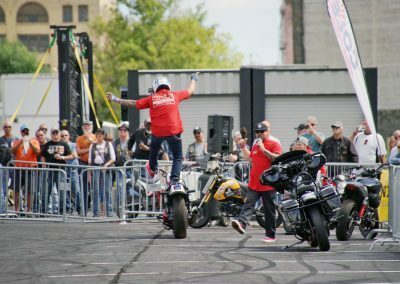 When he is not smoking tires on asphalt while doing acrobatically displays, he is a firefighter and paramedic. 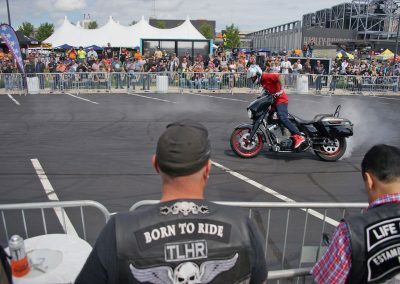 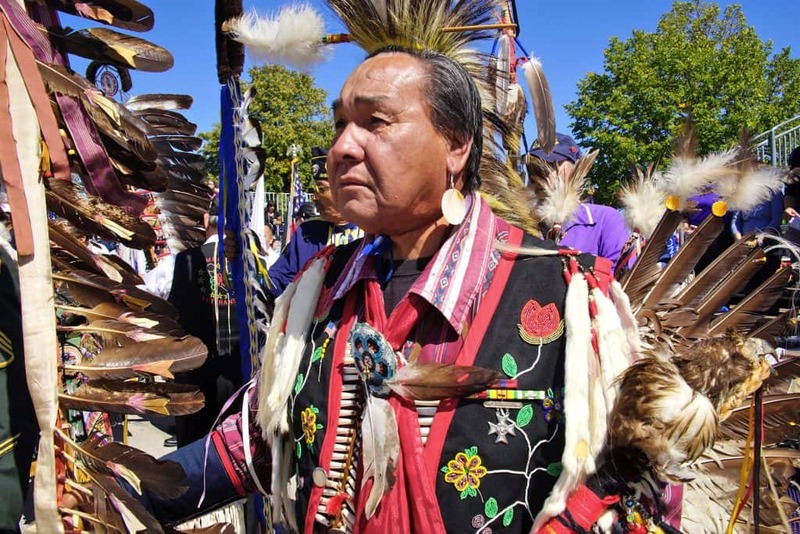 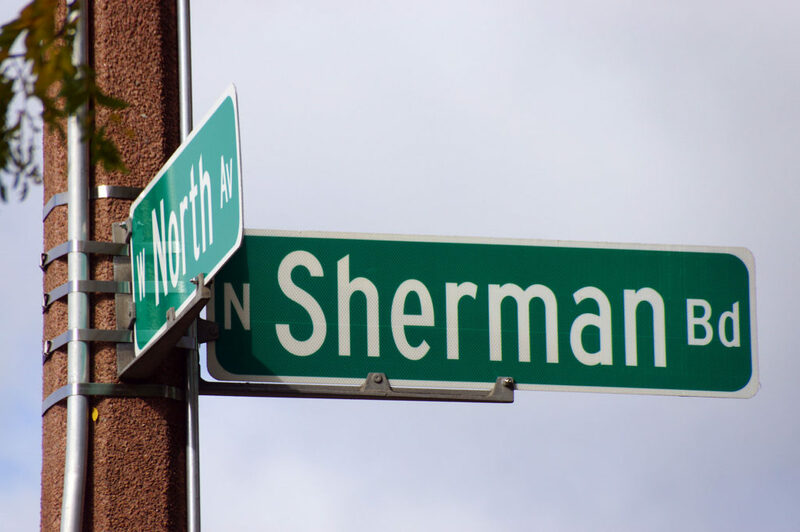 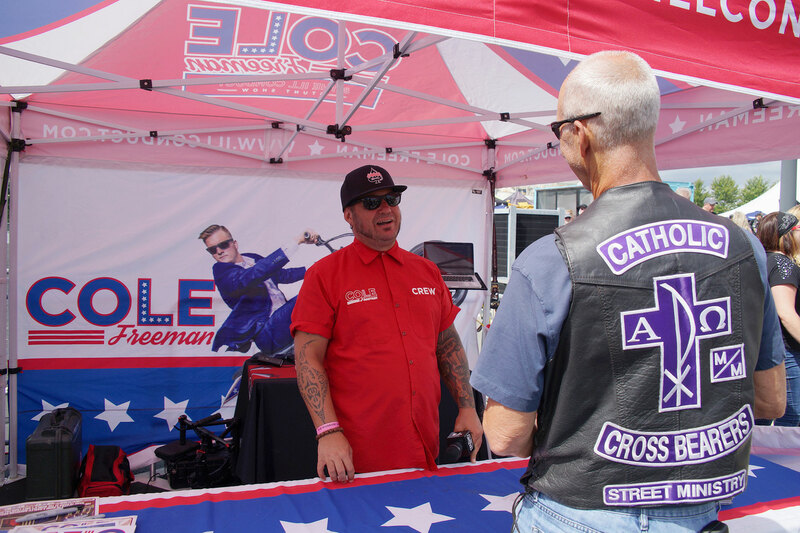 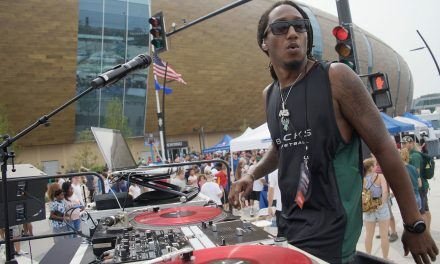 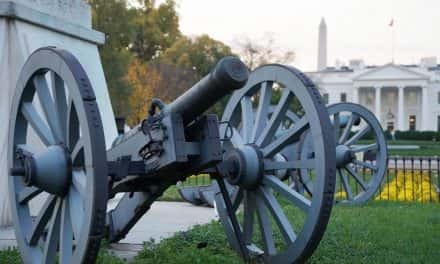 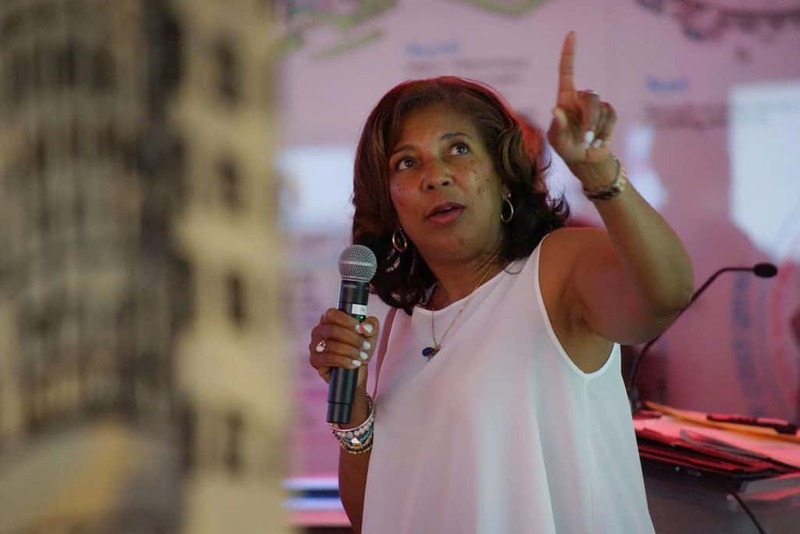 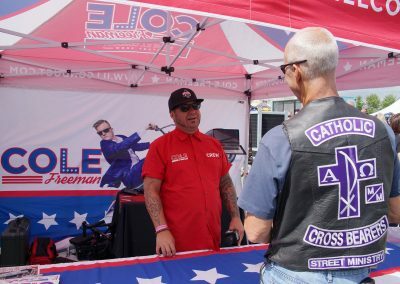 His hope is to introduce more youth to Harley-Davidson motorcycles. 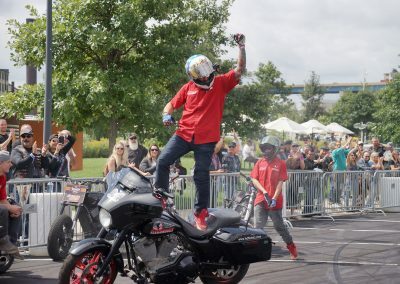 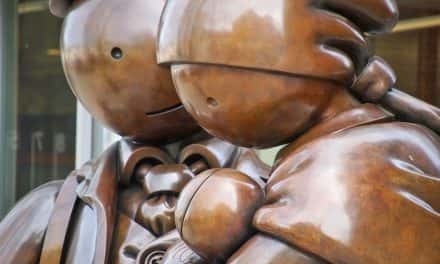 Considering the aging demographics of the brand’s consumer base, the company realizes it needs to innovate to appeal to a new generation of riders. 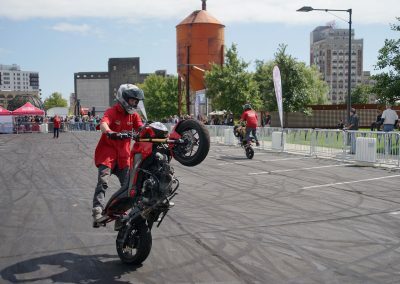 The EV project for electric bikes has been in development for the past few years, with the idea of attracting younger non-motorcycle riders. 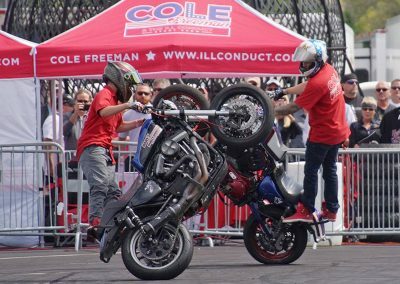 “We just want to carry on the stunting tradition,” Cole added.